Ej ånger eller bytesrätt på grund av att vi beställer från London till varje kund. 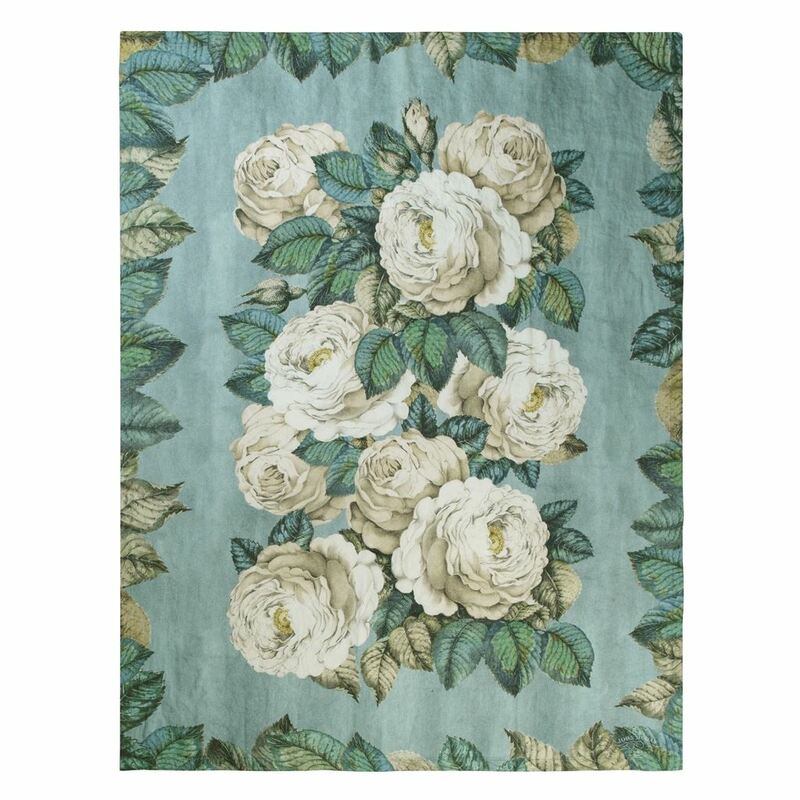 A new addition to the wonderful world of John Derian accessories. 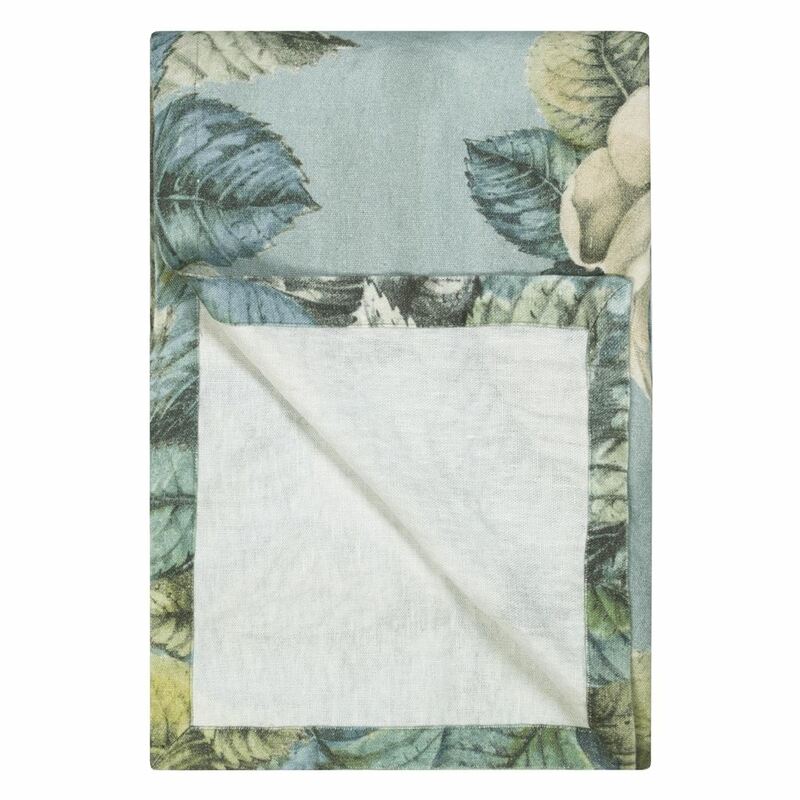 This luxurious pure linen throw features the iconic The Rose in rich Swedish Blue. A cluster of delicate white roses are surrounded in foliage in shades of soft emerald and olive green against a cool blue backdrop. 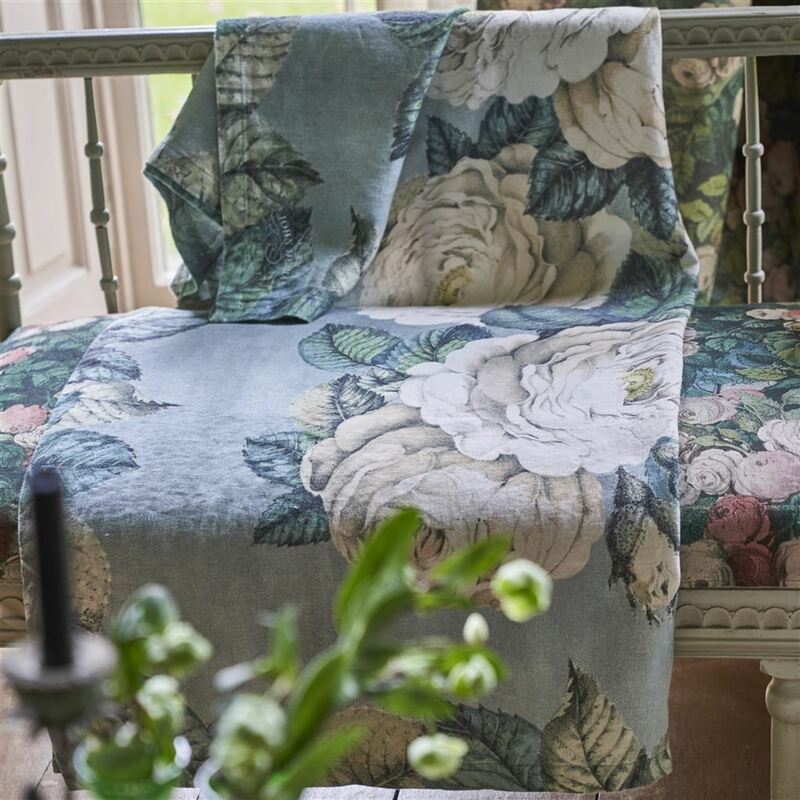 Digitally printed onto luxurious heavy weight linen, this throw will make a stunning statement in your interior scheme and is perfect to use as a sofa throw or bedspread.